Stay evenly balanced, bend your knees, get a lesson, don't be afraid to fall, and don't look down at your tips. There is a lot to remember when your learning to ski. 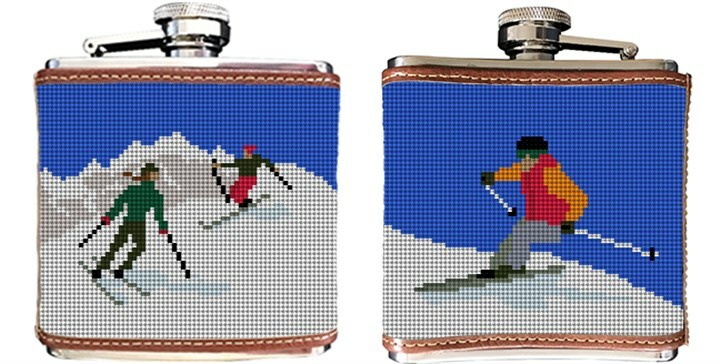 We have the perfect kit to stitch if sitting in the ski lodge, drinking a hot toddy is more your style -- our Skiing needlepoint flask canvas. One image can be exchanged for a monogram.